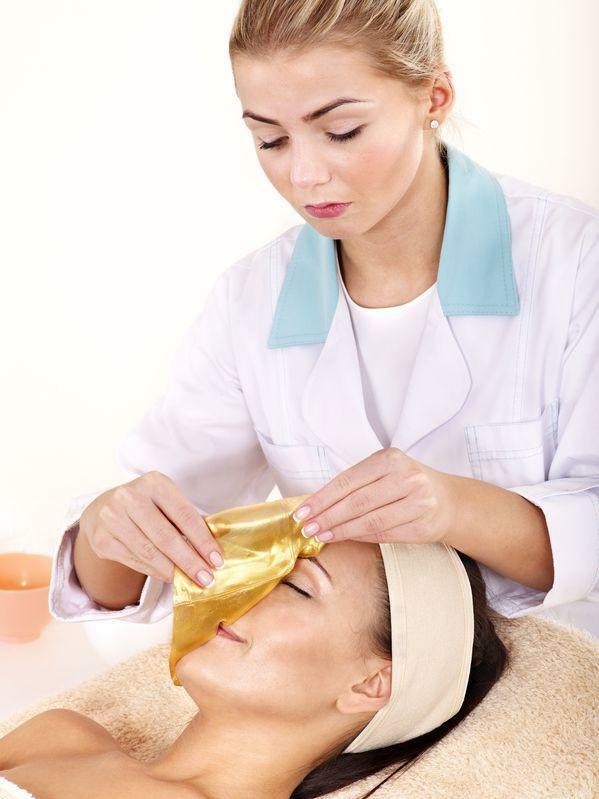 An innovative gold facial & neck mask formulated with bio-active ingredients including pure natural extracts and collagen. 98% one-way absorption and hydration allows for deep penetration of nutrients & moisture. Hydrates, softens and detoxifies the skin while enhancing blood circulation, minimizing skin pores, and diminishing fine lines and wrinkles. Provides a protective layer on the skin to fight free radicals. Real results in just 10-20 minutes. 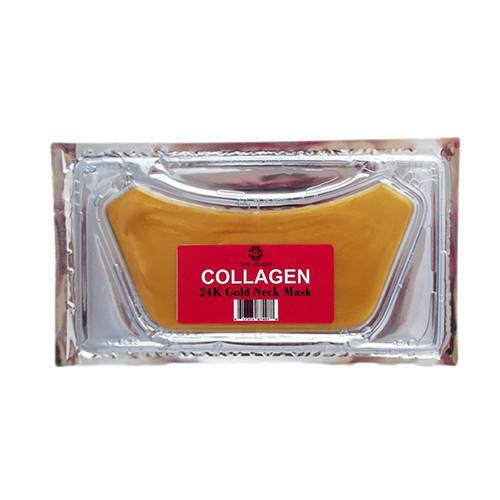 Restores Collagen to give you skin elasticity and firmness. 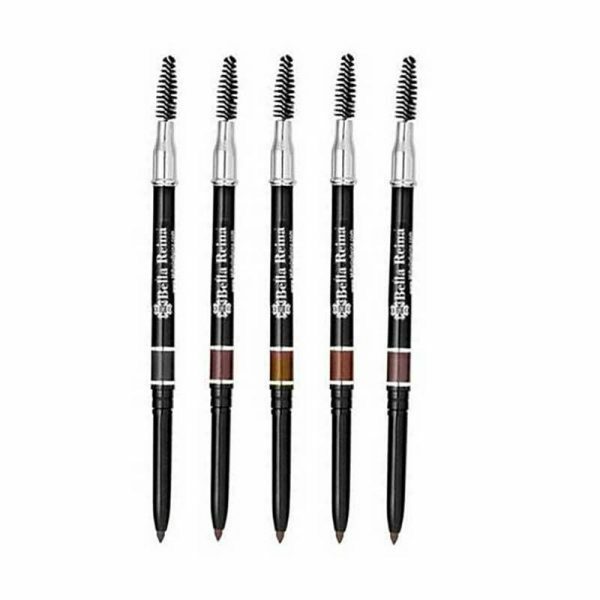 Vitamins A, E, hyaluronic acid, and Glycosaminoglycans help reduce the appearance of fines lines and hydrate the skin. 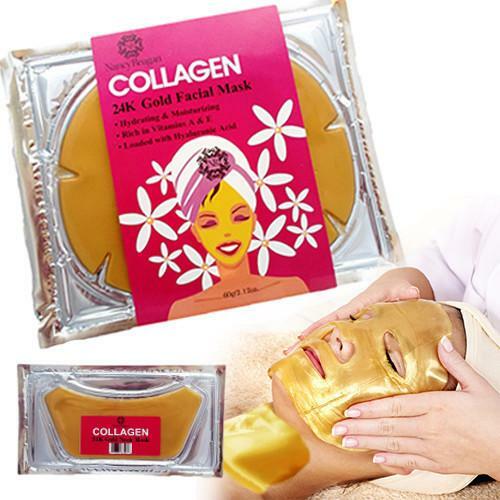 Loaded with gold powder and plant collagen to promote collagen and elastin in the skin. With regular use, collagen masks can help to calm sensitive skin, and hydrate dry, dehydrated skin types. 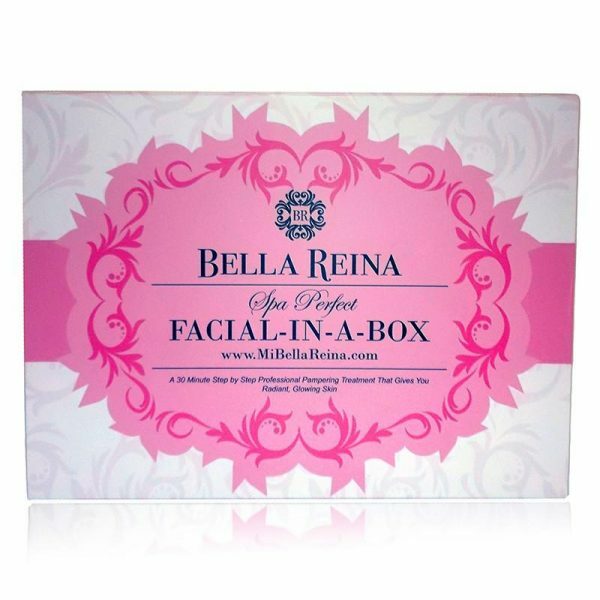 Cleanse the skin with the Bella Reina Beta Cleanser and exfoliate with the Crystal Micro-Polish scrub. Open the mask and pour the liquid into a small cup. Massage the liquid into exfoliated skin until skin is moist. 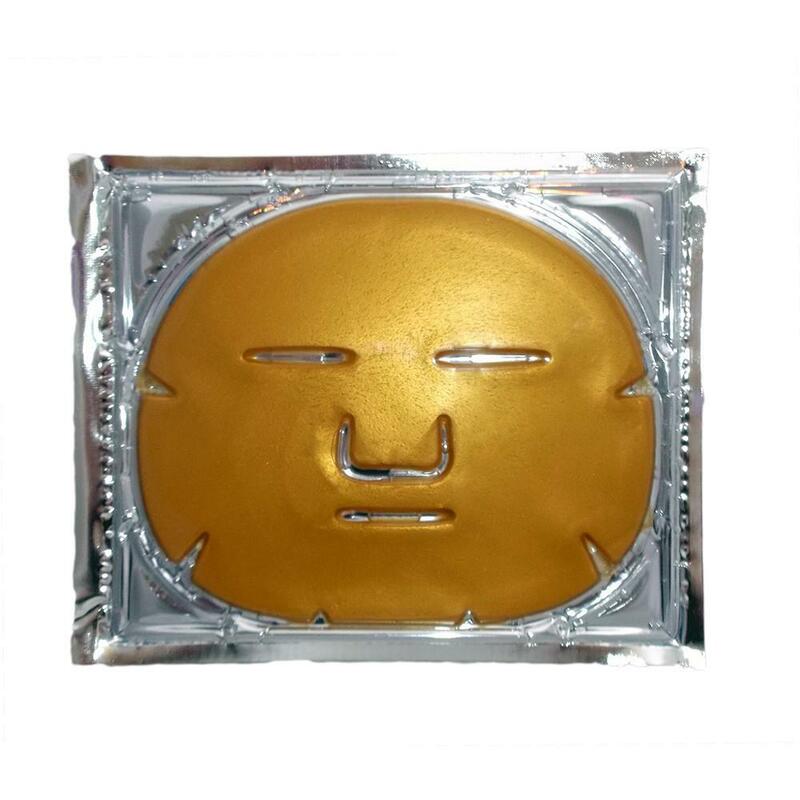 Gently remove the 24K Gold Neck Mask from the package & apply, centering over the neck laying down centered. Gently remove the 24K Gold Facial Mask from the package & apply centering over the eyes first, and laying down across the nose and lips. Leave on for 20-30 minutes and lightly massage in with any remaining liquid. Should any irritation occur, remove with cold water and discontinue use. Aqua, Collagen, Gold/pearl powder, Hyaluronic Acid, Glycerin, Vitamin A, Vitamin E, Hydrolyzed Glycosaminoglycans, Grape Seed Oil, Plum Extract.